A Dance Mag, is an independent magazine dedicated to human body movement and its practices. 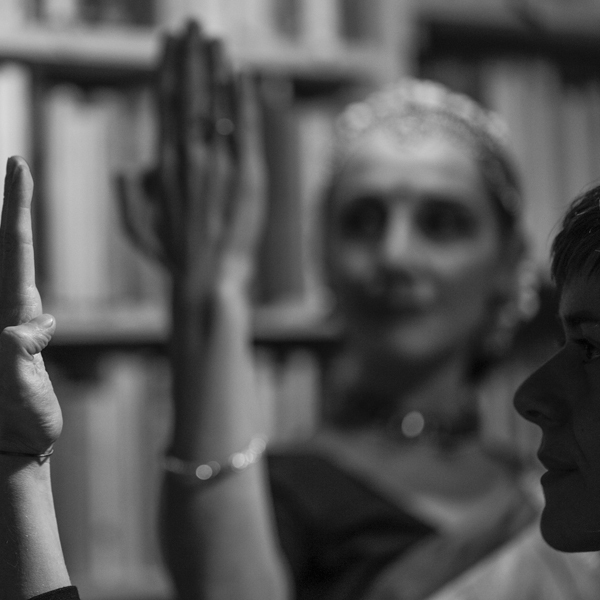 Founded in 2018 by Lebanese dancer and scholar Jana Al Obeidyine, the magazine has however an international span: printed in Beirut, it is distributed in the UK, Germany, The Netherlands, Portugal, Sweden, China, US and Italy (Bologna ℅ Modo Infoshop and Perugia ℅ Edicola 518). Aim of the magazine is to provide an easy approach to dance and the many ways the body moves, both for contributors and readers of the publication. Thanks to this very specific editorial line, A Dance Mag is a collection of dance and physical practices stories whose aim is to reach as many readers as possible in order to give voice to dancing bodies. To follow dance performance Dance me ‘til the end of time inspired by Massimiliano Usai’s Kali Parinati artwork and his interview for FUROR. With Sara Azzarelli, Giuditta de Concini, Massimiliano Usai, Morgana Sofia Usai.